If you want to work your quadriceps muscles, then there are many exercises you can do. There is no need to visit gyms or pay for a personal trainer. You can work your quad muscles by using chairs, staircases, a sofa, or other equipment you have at home, as well as, the weight of your own body. There are no excuses for not working your legs. Which quad exercises you can do at home? You can either use your couch at home or a chair, even though this exercise is best when performed on a workout bench. Balance your body on the right leg. Squat down supporting your body on your left leg. Squat down until you sit on the chair or on the couch. Stand up from the chair or from the couch without touching the ground. Do 10 reps for each leg and remember to switch legs. 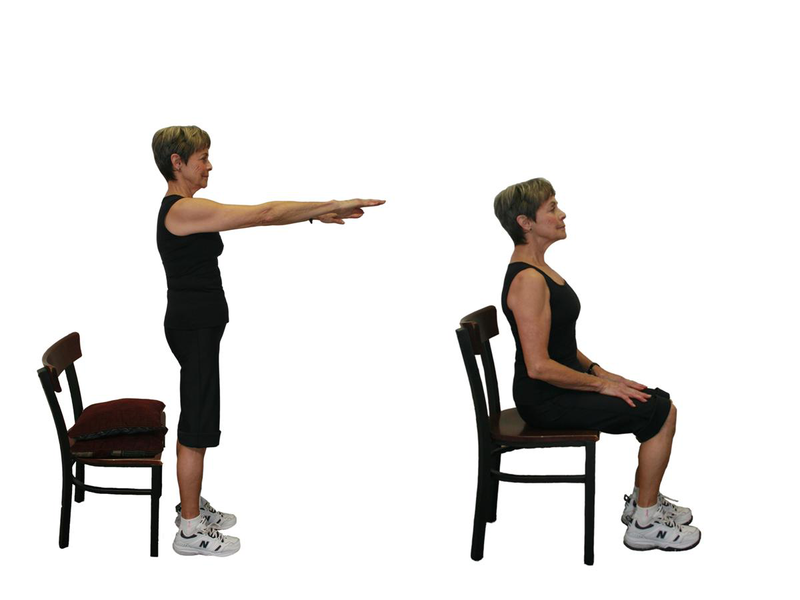 Use a bench or a stool for performing this exercise. Lift one foot back up on the bench or stool. Bend the toes, dig the toes, or keep them flat. Keep the foot that you are not working on the ground. Kneel until you reach about an inch over the ground. Do 10 reps and don’t forget to work both legs. You can work on the staircase. You can use a steady chair as well. Put your left or right foot on the stair or on the chair, depending which leg you want to work first. Step up using the other foot. Step back down from the stair or chair with the other foot. Lunge down to your knees almost touching the ground. Make sure to take big steps. You can use the hallway or another long and clear space where you can perform lunges as your quad exercises at home. Your back should be pressed against a wall. Slide down into a squatting position. Your knees should get down to a 90 degree angle. Remember to keep your back straight during the exercise and not to bend forward. Hold in this position until you feel your legs shaking. Hold onto that position for a couple of seconds. Stand up to the starting position. Lie flat on the floor on your side. Keep your body straight while lying on the floor. Keep your left arm forward and rest your palm on the ground. Your arm will help you maintain the body balance. Keep your right arm under your head to get more comfortable. You can either rest on your elbow if you feel more comfortable, but make sure to keep your lower body straight. Lift the leg slowly until it reaches a 45 degree angle. Make sure not to tip over. Exhale as you lift the leg. Make sure to keep your leg straight while lifting it up. Return your leg to the starting position. Exhale as you lower your leg. Pay attention to your breathing as it will help you exercise more effectively. If you want an intense workout you can hold the leg for about 60 seconds in the lifted position or add some ankle weight. Make fast and explosive movements while working the quad muscles at home. When finished working one leg, roll over and start working the quad muscles of the other leg. Sit on a chair with a flat or solid seat, you can use a bench as well. Keep your hands on the thighs, near your knees. Concentrate on your quad muscles and start contracting the buttocks. You can also lift the legs off the chair or bench. Release the muscles and start contracting the muscles again. Contract the quad muscles of the right thigh and then the quad muscles of the left thigh. Do 30 reps for each leg. Sit on the edge of a chair or bench. With your hands hold onto the seat or bench. Lift your foot until the leg is straight ahead of you. Keep your foot flexed while your toes are pointing the ceiling. Hold onto this position for a couple of seconds. Return back to the starting point. As you exercise daily and you get stronger and fit, the goal is to do this exercise without touching the floor between each lift. You can work the quad muscles at home on your own by using a chair. Sitting down on a chair and standing up from the chair will work your quad muscles just like squatting, but with less strain compared to squats. For this one of quad exercises at home, you need a chair. As you try to stand up from the chair focus on working the quad muscles and using them to lift yourself up. Keep your hands resting on your thighs. Don’t use your arms to push your body up from the chair. You can either cross your arms in front of your chest. Sit back on the chair, as slowly as possible. Again stand up from the chair focusing on your quad muscles. When Is the Best Time to Take Casein? Can't Breathe When Running, Why and What to Do?